Meet Jim Christianson. 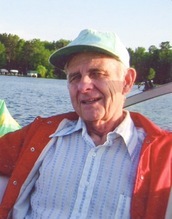 When Jim first purchased a home on Round Lake, he visited the Minnesota Pollution Control Agency (MPCA) to learn more about the lake. During this visit 25 years ago, Jim heard about the MPCA's water monitoring program and signed up to help. At 87 years old, he’s still at it today! Jim is part of a growing group of volunteers who observe and record information about the natural world, in collaboration with professional scientists. Citizen science, also known as crowdsourced science, volunteer monitoring, or networked science, is the public involvement in inquiry and discovery of new scientific knowledge. Typically, public involvement is in data collection, analysis, or reporting. Citizen science programs are designed for people of all ages and backgrounds and can be a great way to teach kids and adults about giving back, taking care of the Earth, and paying attention to the world. Did you know that people who volunteer are generally happier and healthier, too? We are inviting you to join a citizen science program. Yes, you can do this! Most programs have easy methods and good training. A variety of programs are described below. When choosing a program, consider the location—some can even be done in your yard—and frequency of data collection. 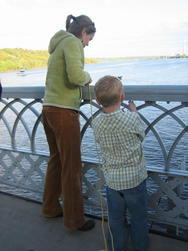 Not surprisingly, the “Land of 10,000 Lakes” provides many water-related citizen science programs. The MPCA’s own Citizen Lake & Stream Monitoring Program involves 1,300 volunteers in water clarity measurements. Tracking water clarity is like monitoring your blood pressure—it can serve as a basic indicator of health. Identifying changes in water clarity requires years of data, and wouldn’t be possible for many Minnesota lakes and streams if it wasn’t for the monitoring efforts of citizen scientists. Tracking animals tells us about their migration patterns and worldwide distribution. For example, in 1975, citizen scientists in Chaska tagged a monarch butterfly that was eventually found overwintering in central Mexico. This was the first conclusive proof that monarchs migrate thousands of miles each year, and eventually led to habitat protection across their migration route. Yeah, citizen science! Tracking animal populations is also critical to their protection. Through the MN DNR’s annual Frog and Toad Survey, citizen observations have identified the endangered Blanchard’s cricket frog in Winona County, and documented the devastating spread of bull frogs to new habitats in the state. Come see the MPCA's new citizen science exhibit in the Eco Experience building at the Minnesota State Fair. Stop by between 9 am and 9 pm, August 27 through September 7. There are also presentations by several programs--check out the stage schedule for details. 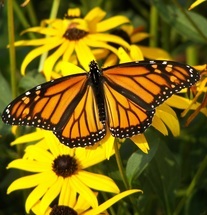 Participate in monarch tagging at the U.S. Fish and Wildlife Service's Prairie Wetlands Learning Center, August 15 and 17,10 a.m.-3 p.m. (Fergus Falls). Folks closer to the Twin Cities can try tagging monarch butterflies at Maplewood Nature Center, August 29, 1-3 p.m. (Maplewood). Visit Soudan Underground Mine State Park on August 15 for Science Saturday to learn all about the Monarch Watch program. Come back on Sunday for their River Canoe Trip: A Scientific Exploration of Water Quality to try your hand at testing water quality with the DNR during a naturalist-led canoe trip, August 16, 7:30 a.m.-1:30 p.m.
Visit Hawk Ridge Bird Observatory in September and October for some magnificent bird watching and naturalist programs. This nonprofit also runs the Hawk Ridge Western Great Lakes Owl Monitoring program. The University of Minnesota Raptor Center has a fall raptor release, September 26, 10 a.m.-3 p.m., Carpenter St. Croix Valley Nature Center (Hastings).